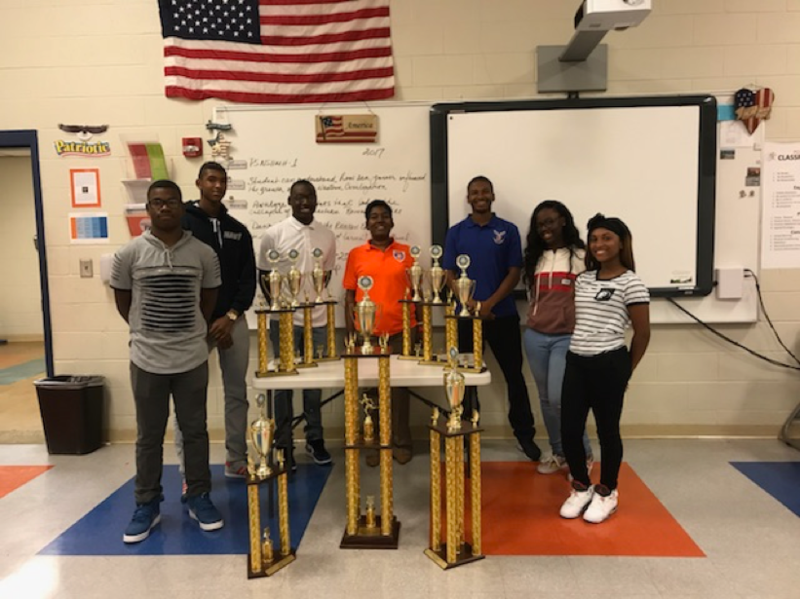 Columbia High Navy JROTC wins big at regional drill meet. 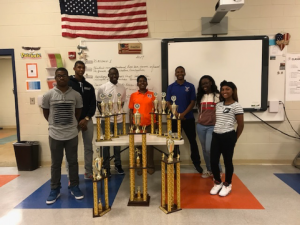 The Columbia High School Navy JROTC earned nine trophies, including three 1st place awards, at the Henry County Drill Meet on September 9, 2017. In addition to the 1st place honors, Columbia’s drill, athletic, and color guard teams also earned a combined five 2nd place trophies and a 3rd place trophy. Overall, Columbia High placed first out of 14 Navy JROTC units from DeKalb, Cobb, Gwinnett, Henry, and Columbia Counties. “I am very proud of the Drill, Athletic and Color Guard teams, they practiced hard and I am glad to be putting Columbia High schools NJROTC on the map,” said Lt. Cmdr. Luther Hill, senior naval science instructor at Columbia High School. “Congratulations to Columbia for an outstanding performance (in) capturing the overall first place winner trophy,” added Major Clint A. Houchins, senior naval science instructor in Henry County.